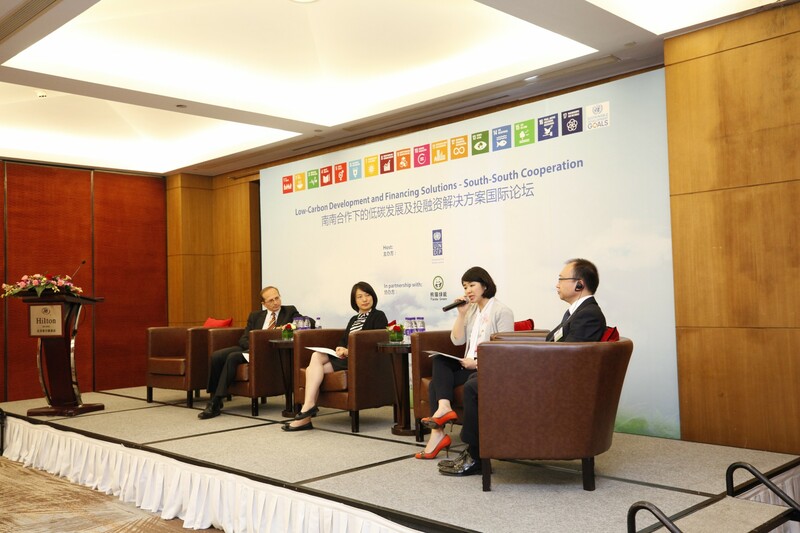 On August 28, Finance Center for South-South Cooperation (FCSSC) participated in the “Low-Carbon Development and Financing Solutions – South-South Cooperation” workshop, which was held by the United Nations Development Programme in China (UNDP China) in Beijing. 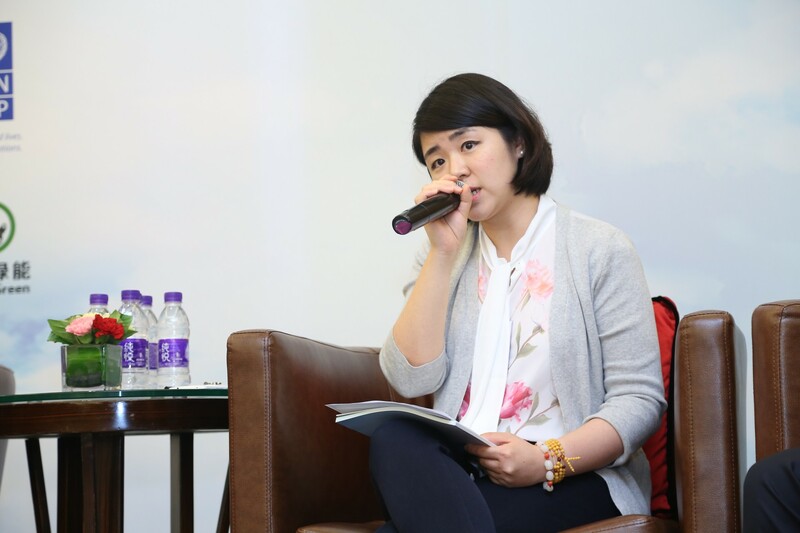 Ms. Joyce Zhang, Deputy Director-General of FCSSC, joined a panel discussion themed “Innovative Financing for Sustainable Development in the South-South Cooperation Context” to share FCSSC’s experience in channeling private capital towards the developing world with representatives from over 20 different Belt and Road (OBOR) countries, leading Chinese and international financial institutions, the private sector, and major academics in this field. As part of the efforts to support China’s South-South cooperation and Belt and Road Initiative, UNDP China organized a workshop themed “Low-Carbon Development and Financing Solutions through South-South Cooperation” on 28 August 2017 in Beijing, Hilton Hotel. 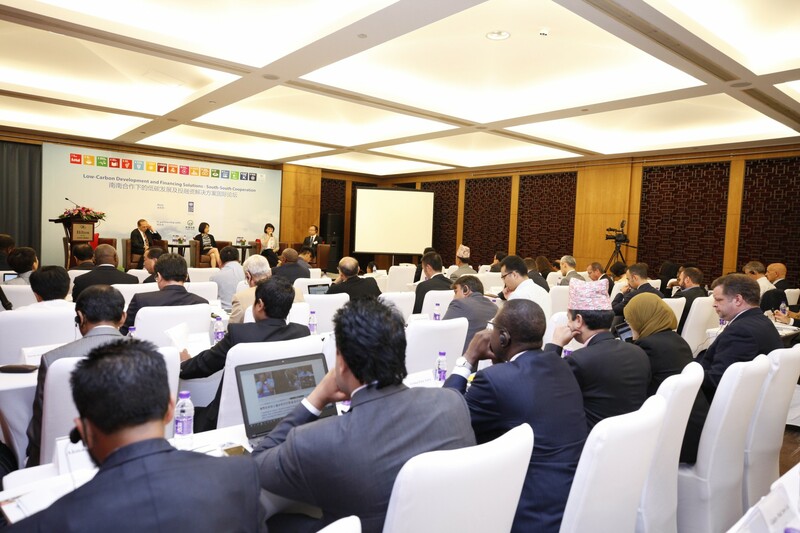 The workshop was built on the recent momentum of the Belt and Road Forum held in May 2017 in Beijing, seeking to provide a platform for dialogue and discussion on how China’s low-carbon solutions and development financing may benefit developing countries, including providing concrete examples to countries and institutions of new innovative models for development financing. FCSSC has been working with UNDP China since 2015. As strategic cooperation partners, the two parties have successfully supported the launch of “Made in Africa Initiative” and the United Nations Social Impact Fund, as well as co-organized the annual “Silk Road Forum”. Both FCSSC and UNDP China would like to further strengthen the partnership to actively contribute to the realization of SDGs.